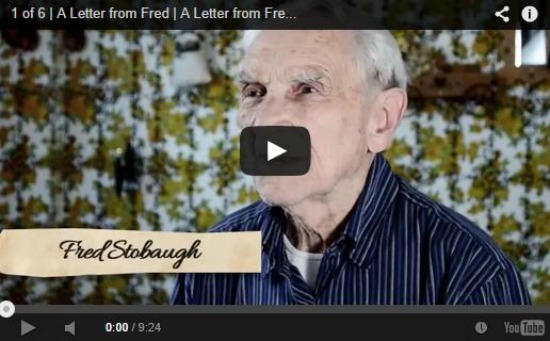 96-year-old man schools us on what love really is. A 96-year-old man schools us on what love really is. So many have lost their faith in love and, without doubt, relationships just ain’t what they used to be. Or are they? Is it just how we see relationships and commitment that has changed? It can’t be that love itself has changed as a concept. Having lost my father 10 months ago and knowing how huge of a loss it was to my mother, who was married to him for 43 years, I literally cried like a baby after watching this clip. If you no longer believe in love, you should. Love never changes – attitudes do. Relationships take work, they may fail, they may flourish, but love is a constant that remains in our hearts when it is real to US, despite external circumstances. Love is never the problem. Many other things are, but not love. If I cut you off. I like people with depth. This song was inspired! One of the best story I have ever heard. Lyrics are absolutely beautiful, and very well put together by the Artist. Great Job! I’m must say that’s was the most moving thing I have ever herd or seen. People don’t really know what love is anymore. But I must say with watching my grandparents as they raised me . I can say I have seen true love . At 34 I have yet to find that but I believe in time god will cross my path with all the love . Fred we need more people like u and ur beloved wife in this world to be inspiration to others life’s and relationships. Thank u for sharing Fred and know she is right by ur side till u meet again. I wish we could get Fred to give us all some much needed advice on how to make a relationship last 75 years. I think we all could learn from him. This was the most impressive and inspirational story about true, selfless one of a kind love that I have ever heard. Fred, I just wanted to thank you for reminding me that we all can have this type of love we just need to selfless enough to work at it. You are an amazing man and you truly touched my heart, Thank you!! !